Kenmore became a more popular destination after red-brick paving replaced the dirt road from north Seattle to Bothell in 1914. In this photo, several of the motorized Bothell Stage Line vehicles make their way on the new road. 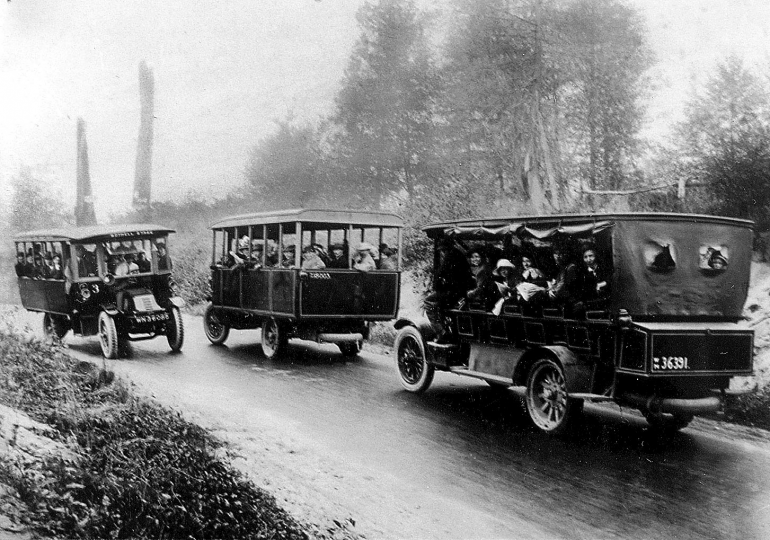 One can imagine the enjoyment of the “Sunday drive” that was so popular in an earlier era.